The desire to be fully accessible led us to develop hoop247, our online processing system that allows customers a personalised service 24 hours a day, 7 days a week, 365 days a year: anywhere, anytime. 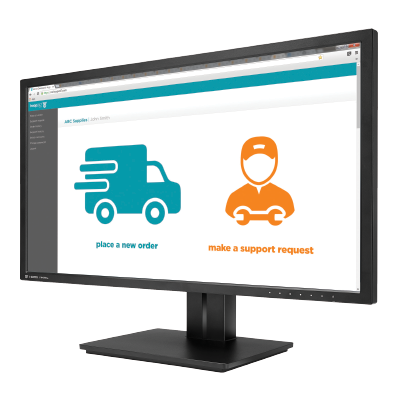 Through hoop247 you can access your full order history, track current order progress, configure standing orders, make support requests, view product safety information, and have orders confirmed instantly. The system can be set to send you a reminder of when to order and allows you to easily make repeat orders. Ordering is controlled, so you can only order products and services you need. Your dashboard stays uncluttered and there's no risk of placing an incorrect order. There is also a chat feature if you want to ask us anything or if you just want to say hello to our Customer Care Team!